When I visited my brother last year, I fell in love with their Virginia sweet tea. I have always been a fan of sun tea, but they made me a convert. I watched my sister-in-law make it and started making mine the same way. Fill coffee carafe with water. 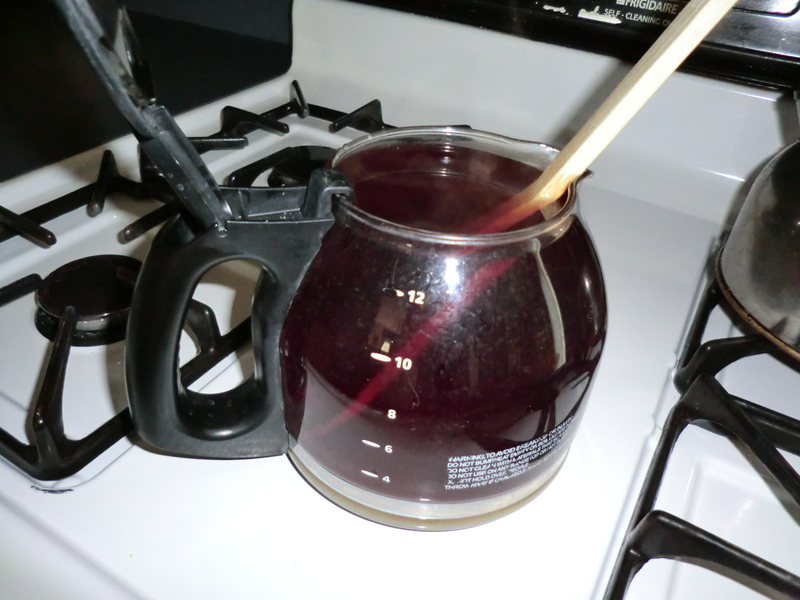 Pour water in coffee maker. Put a scoop or two of sugar in the bottom of the carafe. Put in three black tea bags and one green tea bag. Brew as you would coffee. Stir the sugar in the bottom of the pot to let it completely dissolve. Add water to the container, to fill it and stir to combine. The tea is sweet and there is no sugar wasted on the bottom of the pitcher. Sweet tea the way my brother makes it. This entry was posted in Food, Make It, Recipes and tagged Food, Make It by Frugal Fish. Bookmark the permalink.